How Often Should You Replace Your Roof Shingles in Ontario? 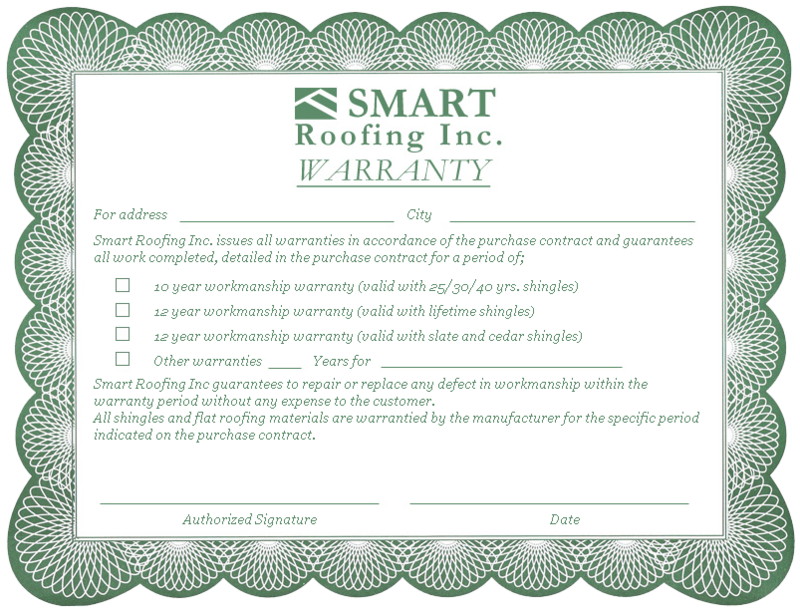 - Smart Roofing Inc.Smart Roofing Inc.
How Often Should You Replace Your Roof Shingles in Ontario? One of the most common question we get asked by Ontario home owners is how long should roof shingles last. A related question is how often should asphalt shingles be replaced? As with most questions, the answer is “it depends”. As we have pointed out in our article on how to choose the best roof shingles, there are a myriad of options to choose from and the higher quality shingles will give you the best value and highest warranty. 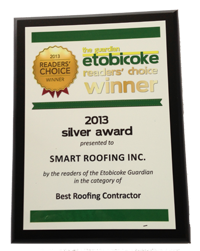 To learn the average costs to replace roof shingles in Ontario, click here. Good quality roof shingles can last for many many years when installed correctly, but there are other outside factors that has an impact on the life of your roof shingles. The angle or slope of your roof could impact how often you have to replace your roof shingles. Steeper sloped roofs tend to last longer because water will run off and snow and debris will slide off quicker than flatter roofs or low-pitched roofs. It is not uncommon for shingles on the south-facing side of the roof to be in worse shape than the north side. This is because roof shingles that are exposed to the sun’s ultraviolet rays will deteriorate faster, especially on high-pitched roofs. Trees near your roof may be a source of additional wear and tear due to branches that constantly rub on your roof shingles or fallen limbs and debris that sits on your roof. Very hot summers and extremely cold winters will shorten the lifespan of your roof shingles, so does wide temperatures swings that we sometimes see in our Toronto winters where roof shingles go through rapid expansion and contraction due to deep freeze and sudden thaws. While the above factors have an impact on how often your roof shingles will need to be replaced, we’ve found that inadequate attic ventilation and improper installation are the more common reasons why your shingles need to be replaced sooner than expected. 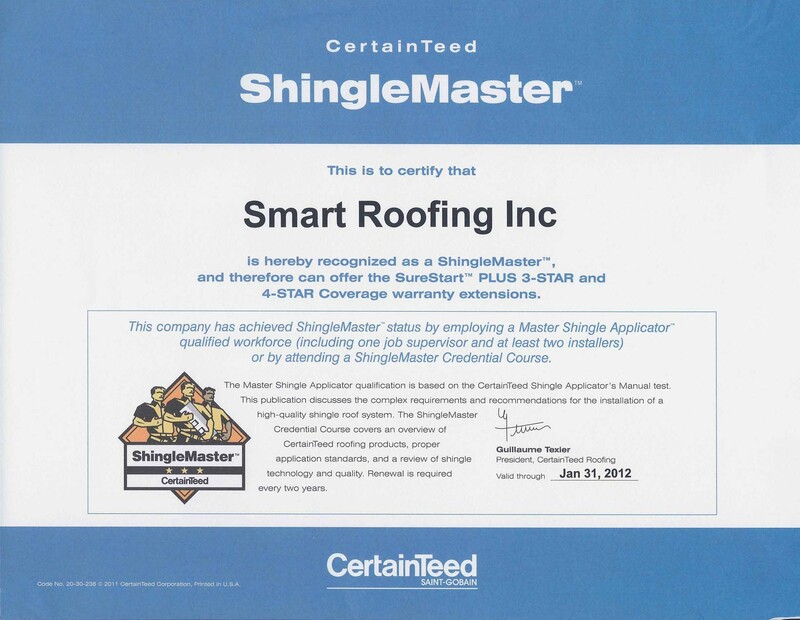 If you start seeing signs that your roof shingles may need replacement, contact Smart Roofing and we can help determine the health of your roof shingles.